Very few businesses, which are still in a growth phase, have free cash flow that they can or want to tie up in a deposit for a building. Business owners would often prefer to keep it in the business and make that money work better for them. If ones uses free cash flow for a deposit, it takes a long time, often years, before one can unlock it to be used in the business again. Rocco Johnson had this experience. It was important for him to secure the premises for many reasons. To move the business operations would have cost about R200 000 plus the cost of being out of operation, not to mention the hassle factor. When he approached Business Partners, the team sat down and did the number crunching. He was paying rental of R25 000 with a 7% annual escalation. If the full value (R2 million) were to be financed, the installment would be R28 694. The first exercise undertaken by Business Partners was to understand whether the business operations could actually afford this payment. The numbers also indicated that the rental escalation and the installment would be equal after the third year. Thereafter the business would have a monthly cash saving. The value of the property should also increase over the period, which will offer the property owner a capital appreciation. The reason why property financiers call for a deposit is simple: from past experience they have found that should the property be sold under forced conditions (such as in an auction), they should recover 65%. In order that they are not out of pocket they call for the deposit. When the full value is financed, there is an element of risk. When Business Partners considers 100% funding, a shareholding (say 35%) in the property owning company will be taken as a way to compensate for the risk. The property transaction is divorced from the operating business transaction but the link is between the two businesses in the leasing of the premises. This is exactly how Business Partners concluded the deal with Rocco some 4 years ago. At the end of this transaction Rocco had secured the premises. He was also keen to upgrade the property because he now had ownership and the instalment was lower than the market rentals. Furthermore, the value of this property is now R3.4 million. This means that there is equity in the property of R1.4 million that would otherwise have been forfeited should Rocco not have bought the property. Investing in an own property has particular advantages if the business can afford it. It offers some peace of mind and not having a landlord interfering or dictating. Business Partners also believes that this should preferably be done at a late stage of expansion when the business is settled and can afford the installment and does not have to move to bigger premises in the near future. It can also be regarded as the entrepreneurs pension, something that often gets neglected. 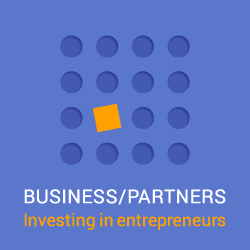 visit the Business Partners web site at www.businesspartners.co.za .